In a small saucepan heat coconut oil on low heat until melted. Add coconut sugar and cacao powder, mix. Pour chocolate mixture in each baking cup half way to the top. 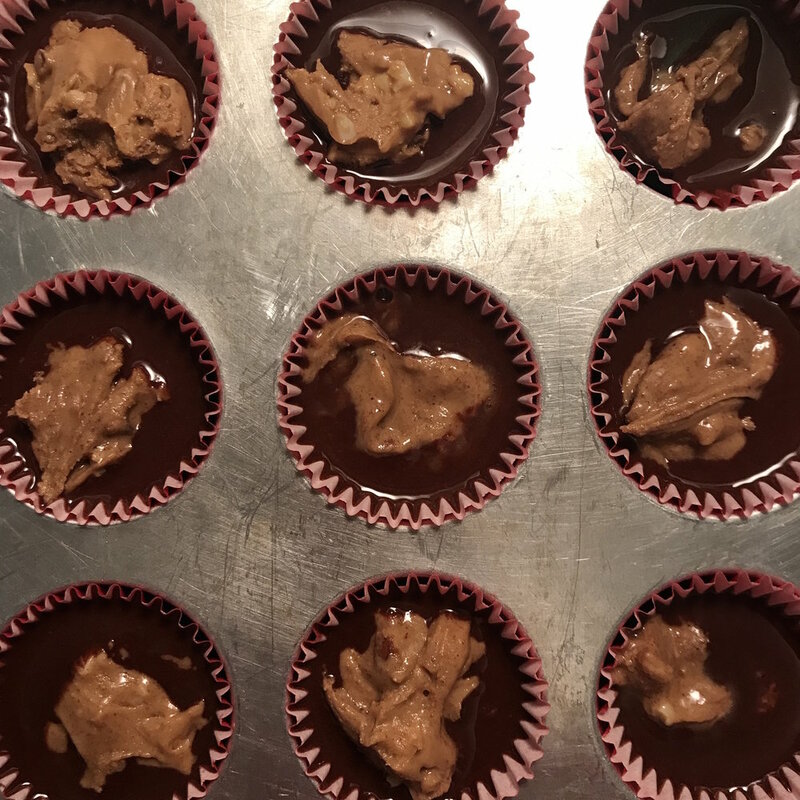 Dollop a small amount of almond butter in each mini cup. Pour remaining chocolate mixture into each cup. Take out of freezer when ready to eat.